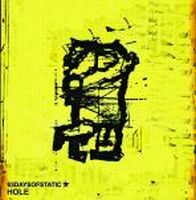 In perhaps 65 days most experimental release, Hole is a little EP worth having, as the band explores many electronic effects and sampling and incorporate them into their up tempo style. The title track is maybe the most normal of them all, one that could have been included on any of the albums. Things get more interesting with the next few songs, as Wrong Side of the Tracks sounds like an Ulver EP track (think Metamorphoses) in its style, direction, tempo (etc.) and is easily the most interesting material here. Then there is an altered version of the Fall of Math, which uses various reverb and crescendo like effects to create an almost entirely different song. What most of this is basically showing is 65DoS's ability to manipulate sounds and branch out into different areas. I think most of this EP shows this ability remarkably well, and it should be seriously sought after by fans of the band.